DETROIT - While PFAS makes headlines across America, let's take a moment to review what it is and how it can affect a person's health. "PFAS," or "PFAs," is an acronym for perfluoroalkyls, which are a group of man-made chemicals that are not found naturally in the environment, according to the Centers for Disease Control (CDC). These are industrial chemicals used in manufacturing. Health officials have been finding the chemicals in drinking water. 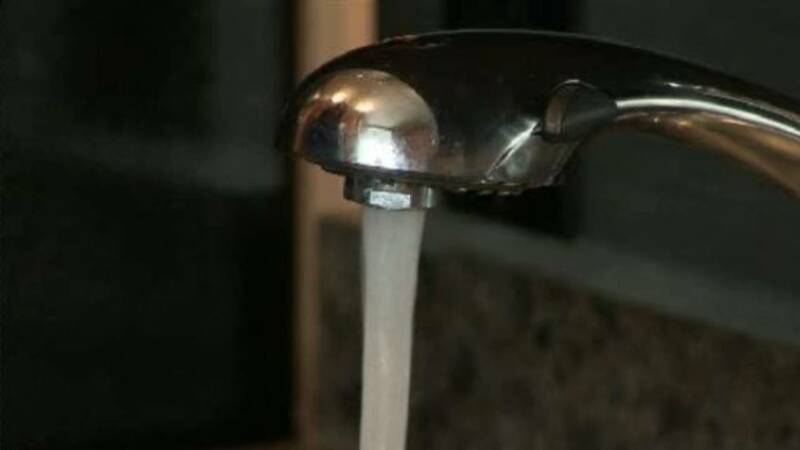 For instance, in Michigan's Kalamazoo County health officials announced this week the water supply of the city of Parchment and Cooper Township is contaminated with PFAS substances. The CDC says PFAS can be found in air, soil and water. The substances will break down when in the air and fall down to the soil, then eventually enter the water system. PFAS won't break down in soil or water, the CDC says. PFAS can get into drinking water when products containing them are used or spilled onto the ground or into lakes and rivers. PFAS move easily through the ground, getting into groundwater that is used for some water supplies or for private drinking water wells. When spilled into lakes or rivers used as sources of drinking water, they can get into drinking water supplies. PFAS in the air can also end up in rivers and lakes used for drinking water. The CDC says most companies have stopped making these PFAS chemicals. The two PFAS substances made in the largest amounts in the United States were PFOA and PFOS, according to several government agencies. Moreover, in addition to being used in manufacturing and consumer products in the past, firefighters have used the chemicals to fight fires, specifically at airports. It's used in the firefighting foam you may have seen before. This map -- view here -- shows where PFAS has been found in Michigan. It was last updated July 23, 2018, so it doesn't have the new Kalamazoo County sites on it. Commercial household products, including stain- and water-repellent fabrics, nonstick products (e.g., Teflon), polishes, waxes, paints, cleaning products, and fire-fighting foams (a major source of groundwater contamination at airports and military bases where firefighting training occurs). Drinking water contaminated with the chemicals, of course, means you're exposed to those chemicals. That's pretty straightforward, and that's why health officials urge people not to drink PFAS-contaminated water (see below what it can do to you). You may be exposed to PFAs in the air; in indoor dust, food, and water; and in some home products. However, the main sources of exposure to PFAs, such as PFOA and PFOS, are usually from eating food and drinking water that has these chemicals. Breast feeding infants may be exposed to PFAs since these chemicals have been found in breast milk. The benefits of breastfeeding are well known and almost always outweigh any potential risk, but you can talk with your doctor about concerns. Children can be exposed to PFAs in carpet since they are closer to the ground and play on the floor. Workers in facilities that make or use PFAs can be exposed to higher amounts of these chemicals and have higher levels in their blood. Some communities near factories that made or used PFOA and PFOS or in areas that used certain types of firefighting foam that spread into the environment may have been exposed to high levels of these substances in their drinking water. In Michigan, state health officials say the main way people are exposed to these chemicals is by swallowing them. In addition to being found in Michigan drinking water, PFAS chemicals can be found in cooking or food packaging products. "Touching products made with PFAS or touching water that contains PFAS is not the main way people are exposed to these chemicals. The PFAS chemicals do not easily absorb into the skin." This isn't something that can be boiled out of water. It's not like when there is a water main break in your neighborhood and the loss of water pressure ups the risk for bacteria to enter the water system. You can boil the water to get rid of the bacteria. Nope, that's not at all the same as PFAS contamination. In the case of PFAS, we're talking about chemicals in the water that cannot be broken down. You can't "kill" chemicals like this. Do NOT boil your PFAS-contaminated water and then think it's OK to consume. However, you can lower the levels of PFAS in the water. According to the state of Michigan, you can treat water in your home to lower the levels of PFAS in the water. Read about how the in-home water filtration systems for PFAS reduction work here. The information you find there about filtering PFAS out of water is from Dec. 5, 2017.
lower infant birth weights; however, the decrease in birth weight is small and may not affect the infant’s health. One way to learn about whether PFAs will harm people is to conduct studies in lab animals. Most of these studies have tested doses of PFOA and PFOS that are higher than levels found in the environment. These animal studies have found that PFOA and PFOS can cause damage to the liver and the immune system. PFOA and PFOS have also caused birth defects, delayed development, and newborn deaths in lab animals. Humans and animals react differently to PFAs, and not all effects observed in animals may occur in humans. Scientists have ways to estimate how the exposure and effects in animals compare to what they would be in humans. What they learn from this process helps them decide how to protect people from harm caused by chemical exposure. The CDC says it is unclear whether PFAS cause cancer. The International Agency for Research on Cancer has classified PFOA as possibly carcinogenic to humans but it has not evaluated whether other PFAs may also cause cancer. The Department of Health and Human Services has not yet evaluated whether these chemicals can cause cancer. The Environmental Protection (EPA) suggest that there is evidence that PFAs may have the potential to cause cancer. That means we need much more research into whether this stuff causes cancer. OK, let's take a step back and talk about PFAS advisory levels. According to the state of Michigan, the EPA has set a lifetime health advisory (LTHA) level for two PFAS in drinking water: perfluorooctanoic acid (PFOA) and perfluorooctane sulfonate (PFOS). The LTHA level is 70 parts per trillion (ppt) for PFOA and PFOS combined. LTHA is the level, or amount, below which no harm is expected from these chemicals. There are other PFAS compounds that do not have LTHA levels. To provide Americans, including the most sensitive populations, with a margin of protection from a lifetime of exposure to PFOA and PFOS from drinking water, EPA has established the health advisory levels at 70 parts per trillion. What that means is there are levels of PFAS that you can consume that are not considered hazardous to your health. But if you're like me, then you probably wish there wasn't a world where you are consuming ANY level of these chemicals. What is being done to fix this problem? Research, for starters. Once researchers find it in the soil or water, then health officials have to find the source. That's exactly what's happening in Michigan's Kalamazoo County at the time of this writing. Residents are not supposed to drink the water, and the state is providing bottled water to them. They are investigating where this could have come from. In Michigan, state officials say they have been collecting residential well data to determine if PFAS has entered residential drinking wells in communities where it is suspected. The state says municipal water systems are annually tested for a number of contaminants and many are proactively testing for PFOA and PFOS. If you have questions about PFAS in your community, pick up the phone and call the State of Michigan Environmental Assistance Center at 800-662-9278. Your call could help bring more PFAS research efforts to your community.